This is the trick for any really serious SCX Builder. 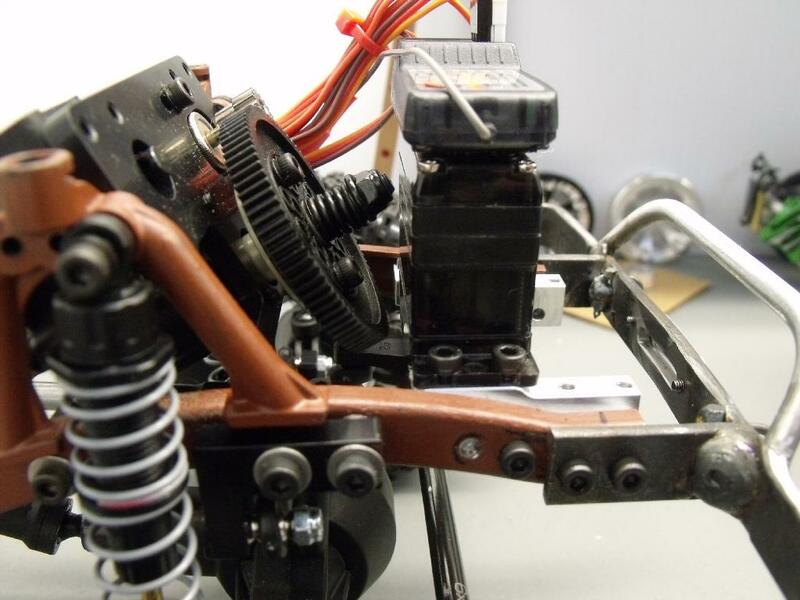 If you have a FJ Toyota build with the winch sticking out, or you have a trick truck with the winch hidden, this dual servo mount will allow you to mount up your steering servo AND a servo winch or custom front plate, all in one. And although this mount setup WON'T allow you do directly mount the SCX post bumpers, it gives you strong deep M3 screw holes to mount your rail-attached bumpers just as you had them before. 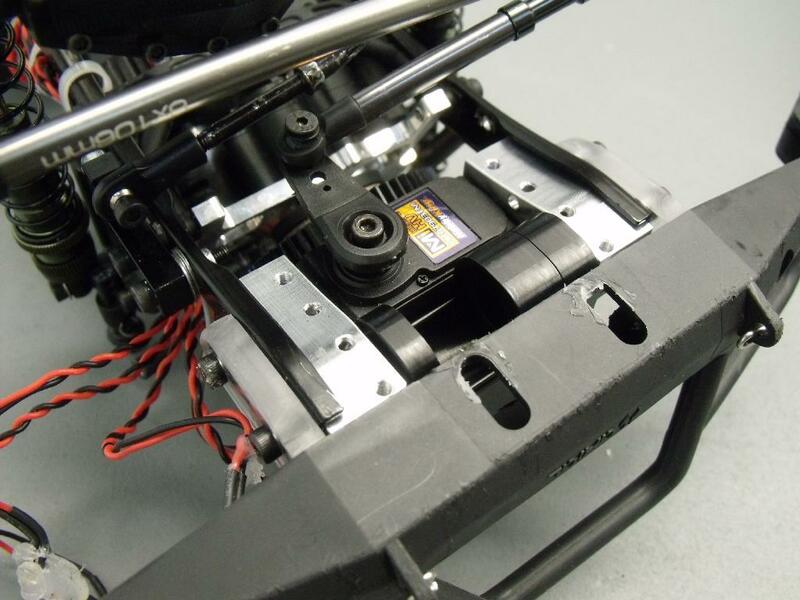 This versatile little front mount set fits directly into the SCX frame rails, and allows 2 servos to be mounted beside eachother, still in the confines of the frame rails. 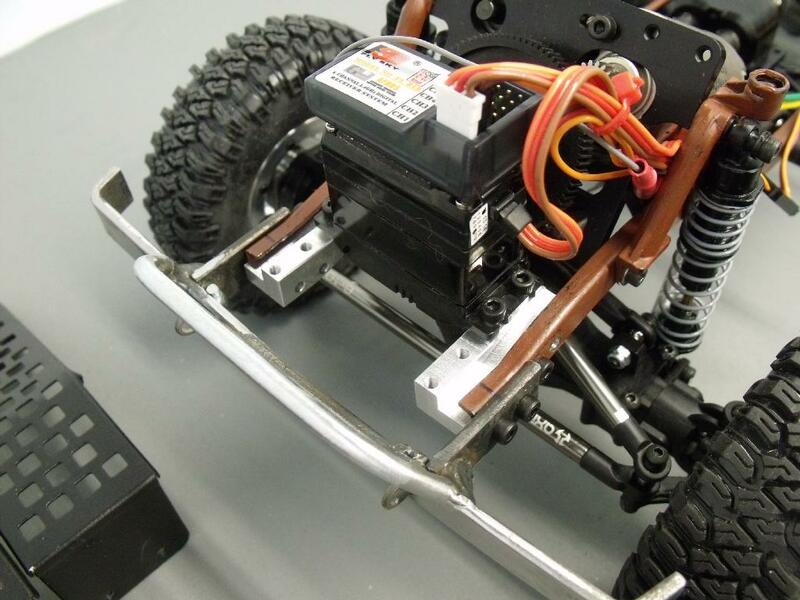 In our case, as seen in these pictures, we used the steering servo in one, as expected, and the other used for a winch plate or a servo winch (shown with the TZIworld winch). Both trucks shown use the side-rail bumper attachment, like so many of the newest Aftermarket Bumpers available. The front bumper mount holes are not there anymore! 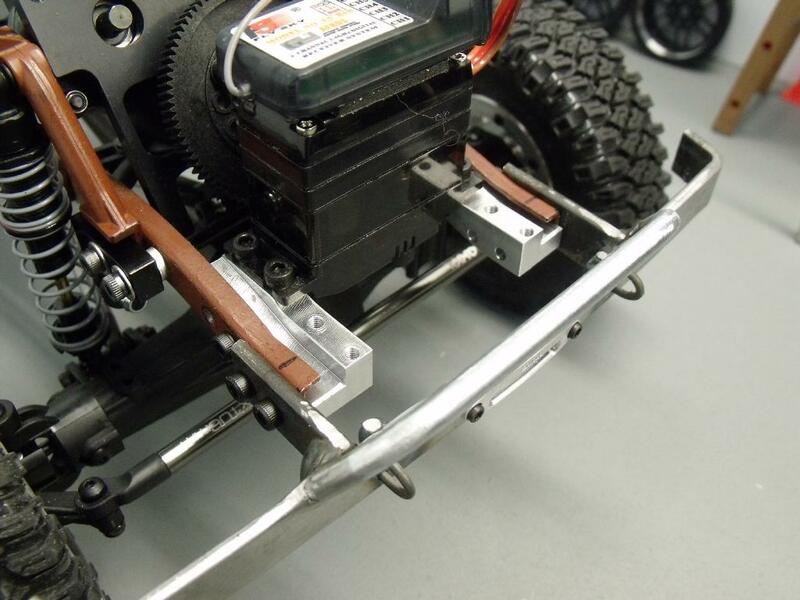 You will need to custom fab something (as with the black bumper pics) or use a custom metal side rail mounting (also shown on the brown frame). 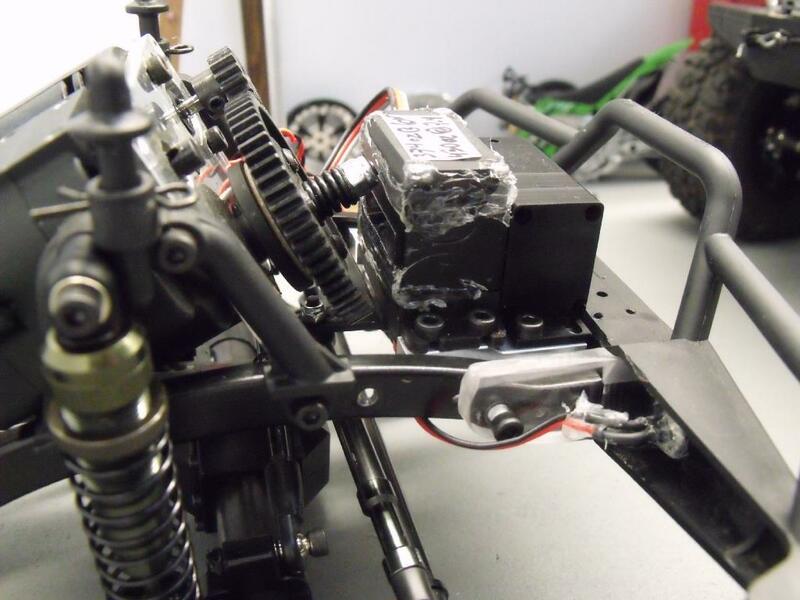 These brackets fit with the stock Dingo parts as well as the GCM front motor mounts. All kits include BLACK mounts, and all new hex hardware. Silver parts used in pictures for clarity only.